We have firmed up plans for our annual Chanukah candle lighting for Monday, December 18th, 30 Kislev, beginning at noon in the Capitol rotunda in Helena. Governor Steve Bullock is scheduled to join us. I will schedule a room for a meeting of the MAJCo representatives. More information will follow soon about agenda. The Montana Association of Jewish Communities (MAJCo) is an umbrella organization that includes representation from Jewish communities across the length and breadth of the great state of Montana. Membership in MAJCo is open to any Jewish community, whatever the “stream,” within Montana. communities. Through MAJCo, we keep in touch and have created a community throughout this great big beautiful state. Anyone wishing to be on the MAJCo email list may contact Brian Schnitzer at bschnitzer3@msn.com. 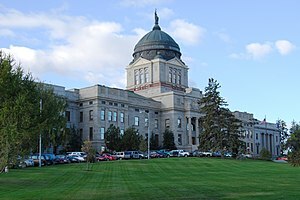 The Channukah lighting will take place at the State Capitol in Helena tomorrow, December 2 at 12 noon. Candle lighting will take place in the old Supreme Court Room, #303, not in the rotunda. (There was a previously scheduled World Aids Day event that will be setting up in the rotunda.) The governor is scheduled to address us at 12:15. The room is available starting at 11 and I plan to be there at that time. A board meeting will take place in room 152 following the ceremonies. Please let me know if you plan to be there and if not, whether you want to participate by conference call. Thank you and see some of you tomorrow. Please mark your calendars to remind you of these upcoming events. Wednesday evening, 11/27/2013, 5:30 P.M.: Erev Chanukah. Lighting the first candle of the Diane Kaplan Memorial Chanukkiah at the Civic Center. If you come at 5:30.30, you’ll probably miss it, especially if it is cold. We will light each successive candle on each successive night of Chanukah at precisely 5:30 P.M.
Thursday, 11/28/2013: Thanksgiving, and the first day of Chanukah. We will light the second candle at precisely 5:30 P.M.
Sunday, 12/01/2013, 2:30 P.M.: Thanksgivukkah party at the home of Stuart and Hilary Lewin, concluding with the 5:30 lighting of the fifth candle of the Diane Kaplan Memorial Channukiah at the Civic Center. Monday, 12/02/2013, 12:00 noon: MAJCO Candle lighting at the State Capitol in Helena. For the third year, the Montana Association of Jewish Communities (MAJCO) is sponsoring a Chanukah Menorot Lighting event with Lt. Governor Bohlinger where we hope to have all nine communities of MAJCO light a Menorah (one each). In 2009, Chabad Lubavitch of Montana handed off this annual Menorah Lighting Ceremony, which they started and sponsored at the Capitol for the first two years. On behalf of MAJCO, I have taken on the responsibility of organizing the Annual Chanukah Menorot Lighting event. I hope we use this opportunity to come together as Montana Jews and celebrate the light that we all share. At 1:00 p.m., we will meet to setup tables, tableclothes, Menorot, signs and any info you bring about your community. Each community should bring their own Menorah and candles. MAJCO will provide extra candles and Menorot if needed, small signs for each community, and a program that includes contact information for each community. Beth Shalom will bring Sufganiyot to share. Other communities are welcome to bring Chanukah foods to share. MAJCO President, Josh Burnim, will welcome the crowd and introduce the Lt. Governor and and Rabbis. Rabbis Barbara Block, Chaim Bruk and Ed Stafman will speak on Chanukah. (Rabbi Allen Secher is not able to attend.) Lt. Governor Bohlinger will address the crowd. Then, we will all light our Menorot together and sing the blessings and Maoz Tzur. After the ceremony, we will share Sufganiyot and other Chanukah treats. The ceremony should only take 30 minutes, but we encourage all to spend some time before and afterwards with each other. At 3:00 p.m., MAJCO Officers and Delegates will meet in Room 350 for a business meeting. All are welcome to attend. I hope many of you, and at least one representative from each MAJCO community, will make the trip to Helena to share in this statewide Jewish event, building ties with Jews from across the state. Please share this email with other members of your Congregations and Communities. 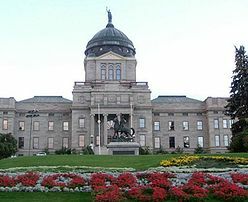 Below, please find an email from Helena Jewish Community organizer Janet Tatz, about the upcoming MAJCO Menorah lighting in the State Capitol building in Helena and the Chanukah party being held in Helena on the evening of December 22. Please mark your calendars for the following MAJCO events on Thursday, December 22, 2011. In addition, we are fortunate to have Rabbi Ed Stafman, from Beth Shalom, in Bozeman, staying over in Helena the night of the 22nd to help us celebrate Chanukah. We’ll plan to begin at 5:30 pm at Touchmark on Saddle Dr. ( formerly, The Waterford on Saddle Dr.) in The Forum, on the 2nd floor of that facility. We’ll light our menorahs (please bring something to place under your menorah, if you are planning to bring one, in order that wax does not drip on the tables or tablecloths), enjoy a vegetarian potluck meal ( if someone is willing to bring the latkes, please let me know in advance! ), sing songs, enjoy a holiday teaching or story from Rabbi Ed, spin the dreidel, and enjoy being in each others’ company at this time of year. The annual Solstice celebration, hosted by St. Paul’s Methodist church and always in conjunction with the Helena Jewish Community, will take place on Wednesday, December 21st starting at 7pm. This year, for the first time, Rabbi Ed will be presenting the Jewish seasonal teaching. Please plan to attend. This event is open and free to everyone and is a relaxing, enjoyable hour well spent. Looking forward to seeing you at these Festival of Light celebrations. P.S. Checkout www.menorahmate.com to learn about a wonderful holiday ( and Shabbat) product that I have available to sell right here in Helena. These Menorah and B’rachah mats/”mates” make a great gift or personal home item. The mats are a great way to catch those wax drips and to learn the Chanukah or Shabbat blessings ( printed in Hebrew, English and transliteration). If you are interested in purchasing one or more of these items, please contact me, as these are a fund-raiser for our Montana statewide chapter of Hadassah. Thanks!